This porcelain mug is decorated all around with exotic flowers and golden details. 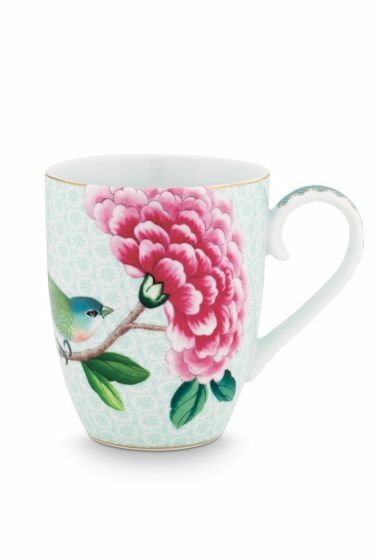 The large pink flower extends slightly over the edge and the background has an elegant design. 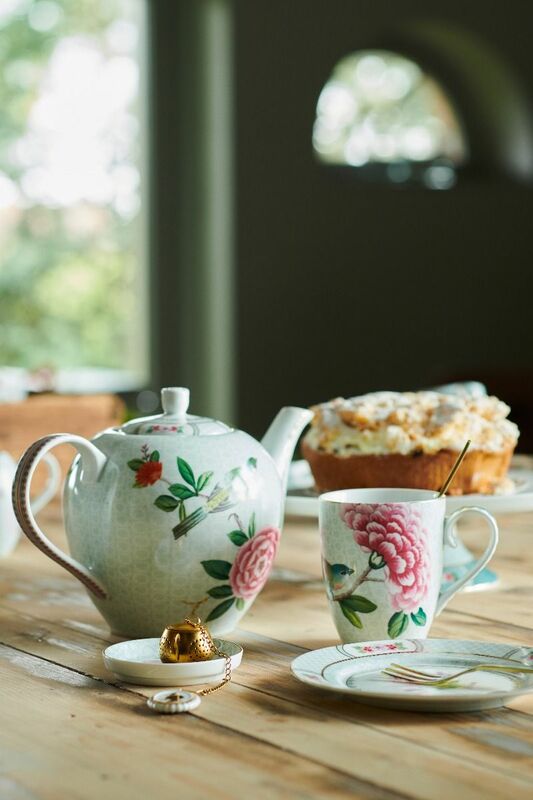 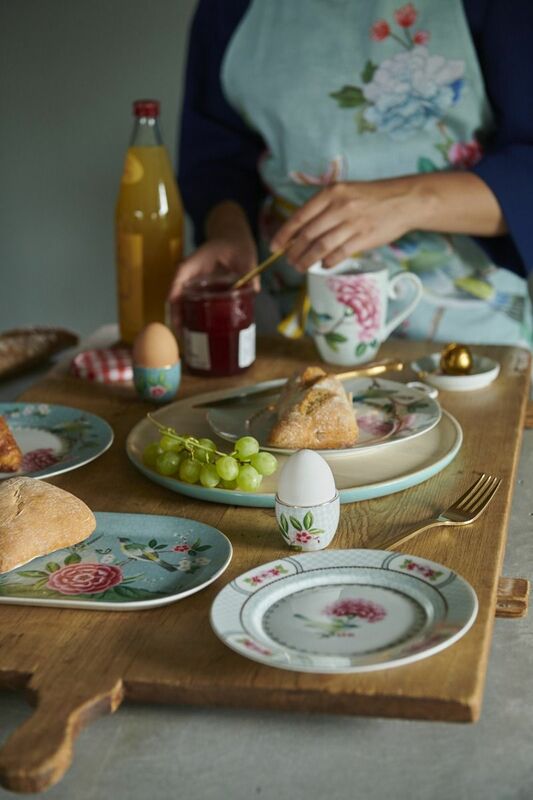 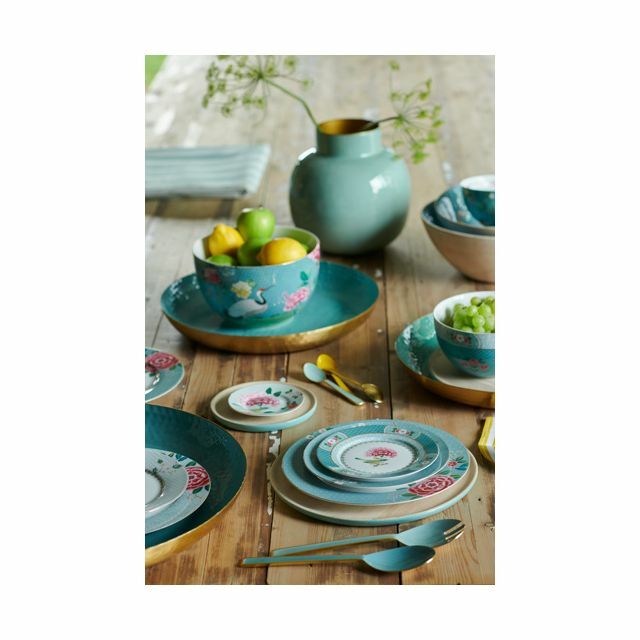 Combines beautifully with the other porcelain sets in the Blushing Birds collection.